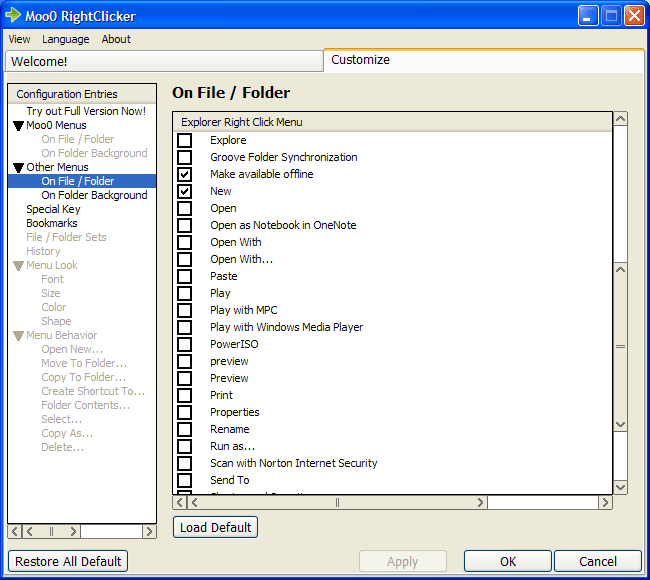 Moo0 RightClicker is a set of enhancements on the context menu (right click menu) of Windows Explorer. 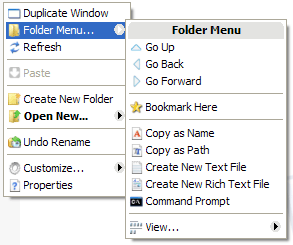 It adds many useful functonalities like duplicating current explorer window, open/move to/copy to bookmarked folders, hiding default context menus, and so forth. 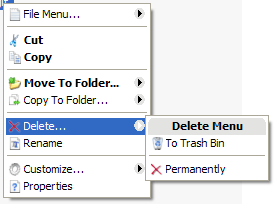 Please install this software and experience the possibilities that it can bring to you. Although you may need some time to get accustomed to it first, you will probably find your life far easier with these extra enhancements. The functionalities of this software are well selected and simplified for easy start. If you want all the functionalities, please try out Moo0 RightClicker Pro.